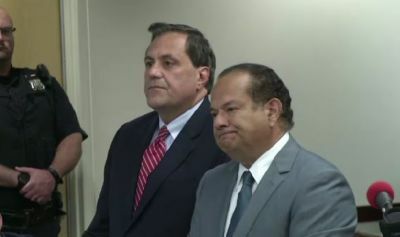 State Attorney General Eric Schneiderman is continuing his pursuit of political operative and former Albany political foe Steve Pigeon, alleging the former Erie County Democratic chairman and two others engaged in illegal campaign coordination while acting on behalf of “an unauthorized political committee” in regard to the nomination of three political candidates in the Sept. 10, 2013 Democratic primary. Just as he did last June when he was arraigned on bribery, grand larceny, and other charges by a Schneiderman special grand jury, Pigeon pleaded not guilty Wednesday on the new charges contained in a felony complaint that could eventually lead to a new indictment against Pigeon and two associates, Kristy Mazurek and David Pfaff, who also pleaded not guilty. Pigeon continues to be represented by Buffalo attorney Paul Cambria who re-argued a search warrant suppression motion Wednesday before State Supreme Court Justice Donald Cerio, arguing as he did last September that a warrant used by prosecutors to gather evidence against Pigeon was improperly executed. 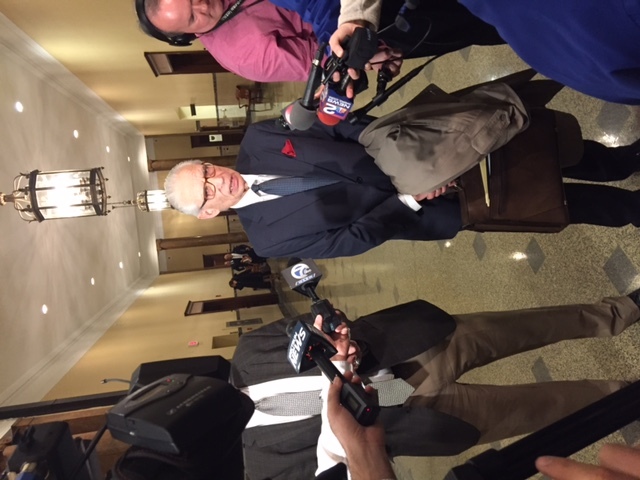 Cerio reserved decision on Wednesday then proceeded to arraign Pigeon, Mazurek, and Pfaff in the new case. All three were released without bail. Veteran defense attorney Joel Daniels, who represents Mazurek, called the election law charges “unusual,’ but said his client has been cooperative in the investigation and that he hoped things would work out. Legal sources say Schneiderman’s felony complaint strategy could be designed to pressure one or more of the defendants into making some sort of deal prior to indictment. Pigeon denies he has violated any election laws, suggesting he was operating within the law and did not use a political action committee like the Western New York Political Caucus, as alleged by Schneiderman, to circumvent the law. For now, it is not clear what’s next in the latest Pigeon case and it could be weeks before anything happens. Judge Cerio, who had previously denied Cambria’s arguments that Google search warrants had been improperly executed in Pigeon’s first case, will now consider Cambria’s new arguments and make another ruling. We’ll try and keep you posted on all of it as it unfolds. For now, trial in the first Pigeon case is scheduled for September, but that could depend on what Judge Cerio rules on the warrant. As for the new election law case, we’ll just have to wait and see.